I love finding unexpected pathways to performance, that is, methods that have potential to outperform expectations. Some are so unexpected that few audiophiles would try them because of the foregone conclusions, “It won’t work,” or “It won’t matter.” If it doesn’t involve something potentially harmful to the system, I’ll likely try it. Some of my favorite discoveries have come about this way. One such discovery was doubling bi-wired speaker cables. It sounds like an idiotic idea to slap another full set of speaker cables on top of (parallel) to an already doubled set. That entails the use of two full bi-wire sets; in the case of the reliably superb sounding Clarity Cable Organic cables that means eight full cables! I can’t tell you how many engineering types, “know it all” types, skeptical types, etc. have rolled eyes, laughed, or were silent when I intoned that it is a superior way to hook up speakers. Do I care that they scoff? Not in the least, because I get to hear the results! The reason I do so is because in my casual experimentation the total gauge of the speaker cable matters, and the more conductor (while maintaining a short signal path) the better. In short, if you have an identical wire in terms of conductor material, geometry and dielectric, doubling it up will improve its sound. I’m sure this violates all sorts of fancy electronic principles, but it works. I’m not most interested in proving electronic principles; I’m most interested in building superior sounding rigs, so my cables get doubled. Might I find a cable someday which would as a standard bi-wired setup outperform the double bi-wired speaker cables? Sure, but then I would want to hear it in a double bi-wire configuration! Now, if you are scoffing, sensing this is going to be a dumb article, please feel free to stop reading now because you likely will not take away much from it. You likely have already labeled me and condemned my perspective, so save your time. To the rest, who want a potentially useful insight into alternative systems to achieve unexpectedly good results, read on! About five years ago I stumbled upon my first mono integrated amp, the Pathos Classic One. I first bought the amp to use traditionally as a stereo integrated. Following the geeky habit of reading through the Owner’s Manual, I discovered it was capable of being run in Mono mode! 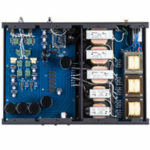 I thought it a swell idea and scoured the audiophile community to find only two others who had tried using two units for discrete Left/Right channel amplification. Not only did it prove efficacious, it became one of my favorite amplification schemes I have ever encountered. These two lovely Italian workhorses put out 170wpc into 8 Ohms and approximately 270wpc into 4 Ohms! I say “approximately” since Pathos didn’t even put the specifications for Mono mode in the Manual, as the function was seemingly an afterthought. After all, who would be foolish enough to try mono integrated amps? Are you beginning to get the gist of this article? It is the setup you don’t see, the one you would dismiss, which might be your ticket to glorious sound. Those little amps stayed with me five years, longer than any component or speaker I have owned. 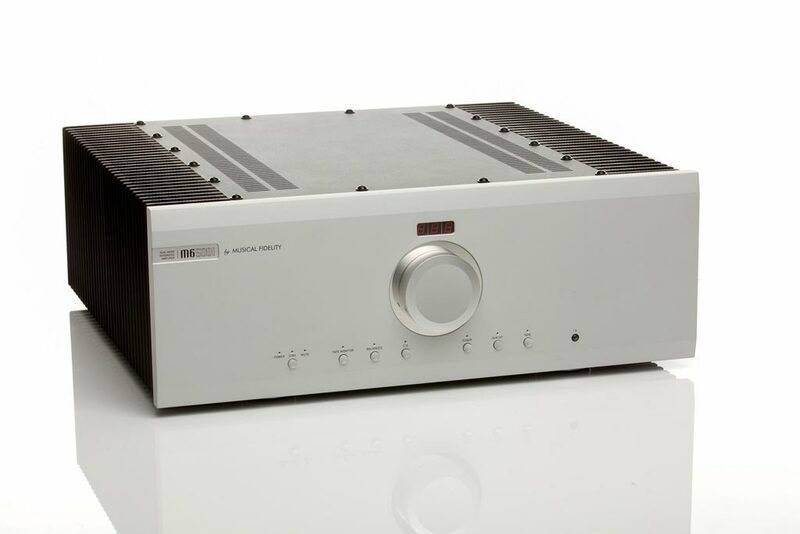 Upon embarking on this review I was shocked to discover that the Musical Fidelity M6 500i is a dual mono integrated amp, literally two mono integrated amps in one chassis! 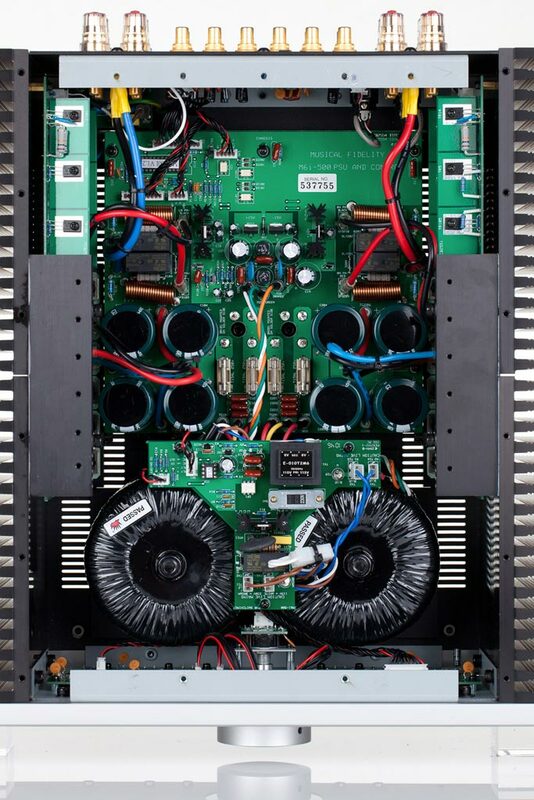 My amazement increased when I learned that Antony Michaelson of Musical Fidelity has been designing such amps for decades. I’m sure that his eyes have been rolling furiously as he reads the above comments on cables. Antony does not suffer fools easily, and as I interviewed him the exasperation with lesser design minds was evident, as he stated flatly that cables are, “… one of the biggest confidence tricks ever foisted on the consumer.” According to Antony assessment of a cable is straightforward, the relation of the total resistance of the cable to the output impedance of the amp. One gets the feeling Antony is confident he could make coat hanger wires work as well as boutique cables. So, those wishing to consider this Musical Fidelity M6 500i should know that it is built solidly upon objective principles, such as the Titan Design. Antony explained that the Titan design is based on the principle of very low global feedback through subtle circuit and PCB layout design. In a Titan layout, high frequency distortion doesn’t climb nearly as high as with classic designs. In 2006-2008 Antony decided to build the ultimate circuit, which was a bridged Mono design, which is neutral in terms of distortion all the time. The goal is an amplifier absolutely neutral both objectively and subjectively. I suggest that Antony has hit the mark, as to my ear the M6 500i is fantastically neutral sounding. When one has experienced the dryness of many Class D offerings, or the warmth of higher power tube brands such as Moscode or VAC, then “neutral” is not only conceptual but very real goal for some listeners. It shows itself in the dynamics being as evident as the tonality, the definition as noticeable as the coherence and fluidity of the sound, with no emphasis placed on any part of the audio spectrum. 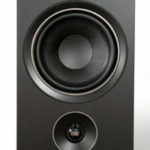 Put the M6 500i on an electrostatic speaker and one notices the speed associated with panel speakers. 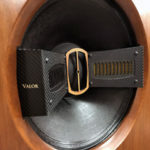 Put the amp on a higher efficiency dynamic speaker such as the Daedalus Audio Ulysses and the vibrancy, sometimes considered as forwardness, of the speaker is epitomized. Put it on a rock-your-world hybrid like the Vapor Audio Nimbus White and you will get well-defined and powerful response over the entire spectrum, as well as generously scaled soundstage. A 500wpc amp in such a tidy package is music to this audiophile’s ears! I love big power amps; the cleaner and more powerful the better! But, as aforesaid, the simplicity of the dual Pathos integrateds was beguiling. There is a direct payoff sonically relative to system costs when one simply skips the preamp and extra set of cables for a fine integrated. 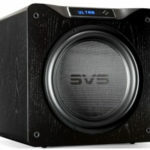 The problem is that often the integrated with high end sensibility is unable to fulfill the promise of a big gun amp, which can drive nearly any speaker on the market effortlessly. The M6 500i resolves that issue.